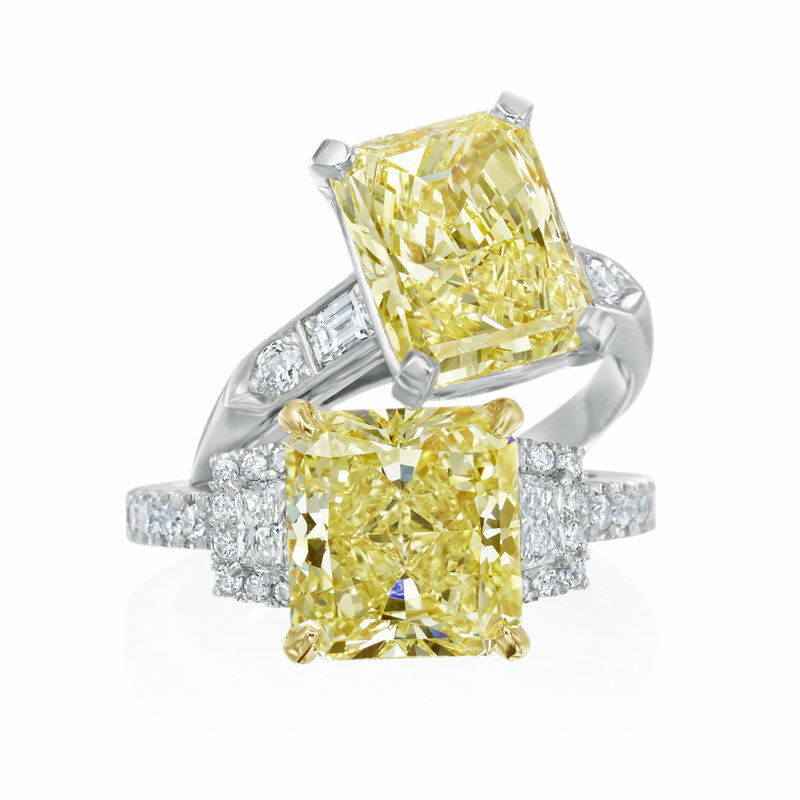 The most popular non-colorless diamonds are fancy yellows, pinks and blues. Other colors include green, red and orange. These fancy-colored diamonds are more rare and therefore more expensive than traditional white diamonds. ...colored diamonds are graded in order of increasing color strength from Faint, Very Light, Light, Fancy Light, and Fancy to Fancy Intense, Fancy Vivid, Fancy Dark, and Fancy Deep. Fancy Vivid and Fancy Deep generally command the highest prices. Previously considered "industrial" or "commercial-grade" diamonds have also found new life as "champagne", "burgundy" and "chocolate-colored" diamonds. 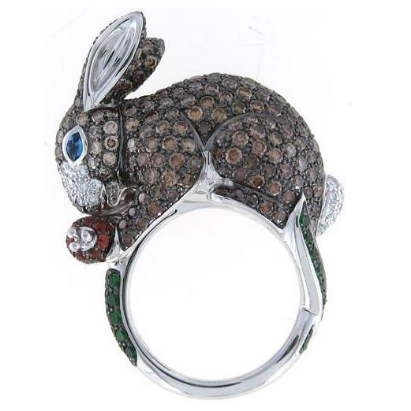 Even black diamonds are gaining popularity in fine jewelry. As famous jewelry designers, like Roberto Coin continue to push the boundaries of traditional Fine Jewelry, there is a special place for diamonds of all kinds & qualities.